A gun-toting talking raccoon, a humanoid tree who only speaks three words the whole time, a thesaurus of a brute, a green-skinned warrior and a brash human. Things that do sound extremely absurd on paper but count on the guys at Marvel Studios to pull this off - and oh boy how they pulled it off oh so well. 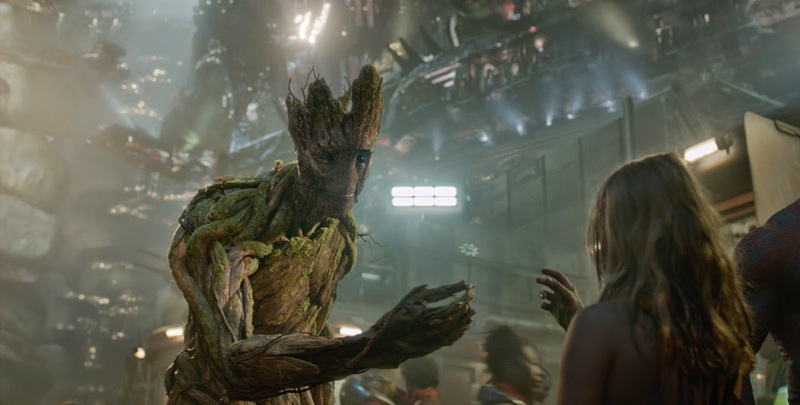 "Guardians of the Galaxy" never takes itself too seriously compared to its other brethren in the hugely complicated Marvel Cinematic Universe and it is, in its craziness and simpleness, a much needed breath of fresh air. Peter Quill (Chris Pratt) finds himself the object of an unrelenting bounty hunt after stealing a mysterious orb coveted by Ronan (Lee Pace), a powerful villain with ambitions that threaten the entire planet of Xandar. 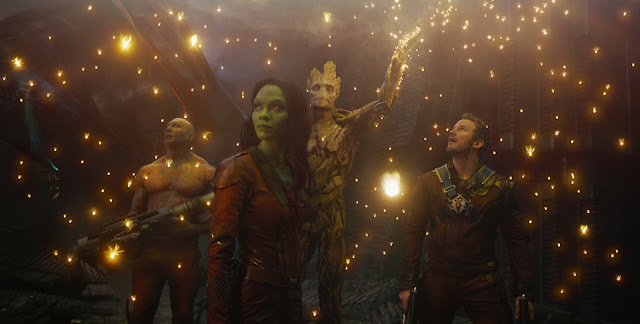 To evade the ever-persistent Ronan, Quill is forced into an uneasy truce with a quartet of disparate misfits — Rocket (Bradley Cooper), a gun-toting raccoon, Groot (Vin Diesel), a tree-like humanoid, the deadly and enigmatic Gamora (Zoe Saldana) and the revenge-driven Drax the Destroyer (Dave Bautista). But when Quill discovers the true power of the orb and the menace it poses to the cosmos, he must do his best to rally his ragtag rivals for a last, desperate stand — with the galaxy's fate in the balance. 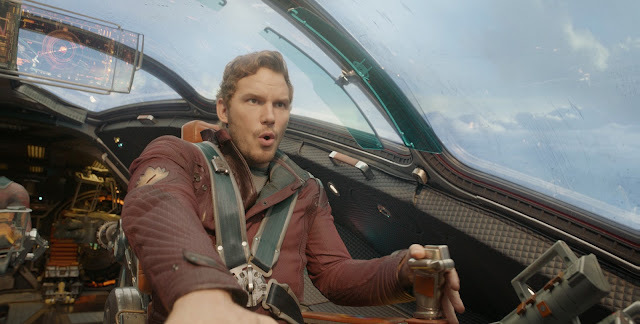 After seeing the first few minutes of "Guardians of the Galaxy", where we get to see a grieving boy suddenly get abducted by aliens and a dancing opening sequence, we knew we were in for an awesome ride. You see, what really struck a note in our books, is how this film has all the usual elements (massive and detailed set pieces, epic battles and definitely an interesting set of heroes to root for) that make the Marvel films great big screen experiences but minus the heavier elements. 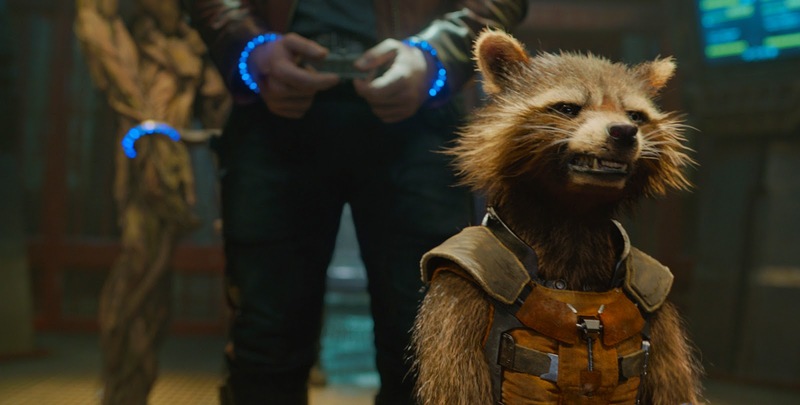 "Guardians of the Galaxy" is the less serious, extremely funny and probably the most hip version of these films. Acting-wise, Chris Pratt was a hoot to watch as Peter Quill. He was the perfect fit for the role. While the supporting cast did pretty good too. We guess we don't need to mention that the soundtrack is awesome? It's also a bonus how it integrates itself into plot. Yeah, "Guardians of the Galaxy" should be a must-watch and we could easily say it's one of the better film we have seen in the Marvel stable.